It seems every other day we hear about a new super-tall, super-luxury, super-billionaire-y skyscraper slated to hulk over Manhattan. And now, there's a visualization of how they'll reshape the classic skyline you currently know and love. And it ain't pretty. 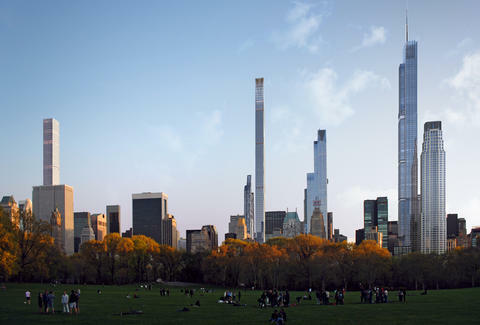 A new rendering by New York Yimby envisions what the Midtown skyline will look like from Central Park in 2018 if developers are able to carry out their plans for several sky-high palaces for multimillionaires on West 57th St, or the so-called Billionaire’s Row. The sight is stunning… and a bit startling, if you’re not currently swimming in cash. Tony Merevick is Cities News Editor at Thrillist and (unfortunately?) cannot see he his house from here. Send news tips to news@thrillist.com and follow him on Twitter @tonymerevick.